The University of Southern Queensland (USQ) campuses at Springfield and Ipswich celebrated a major milestone implementing an enterprise-wide solar project. Stage two of USQ's $6.1 million Sustainable Energy Solution project commenced earlier this month with 1,198 solar panels installed on building rooftops across the University’s Springfield and Ipswich campuses. The second stage is expected to be completed by mid-December and will see the solar arrays installed across five rooftops generating a minimum of 586,949 kilowatt hours of electricity per year. 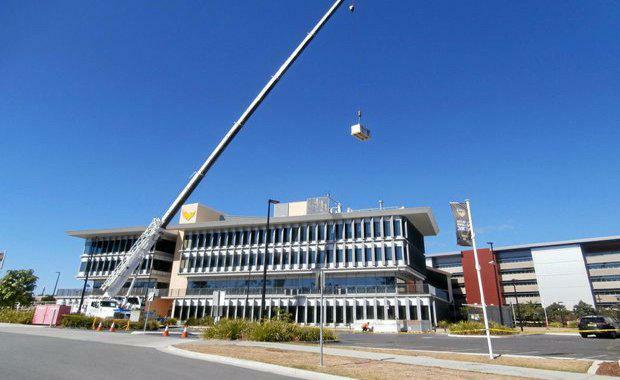 USQ Vice-Chancellor Professor Geraldine Mackenzie said the completed project will help the University reduce its electricity costs and cut down on its daytime grid electricity consumption. “Not only will it offset more than 2500 tonnes of carbon emissions each year and save the University up to $3.5 million over the 25 year life of the solar panels, but it also provides some valuable research, learning and teaching opportunities for our students and academics,” Professor Mackenzie said. Professor Mackenzie said the two megawatt solar project builds on the University’s commitment to create a more sustainable future by improving its environmental performance across all areas of its operations. “At USQ, we’re actively looking at ways we can minimise our environmental impact by investing in sustainable solutions that can help us better manage our carbon emissions, energy, water and waste,” Professor Mackenzie said. Stage one of the Sustainable Energy Solution project was completed in June and features more than 3800 solar panels installed over the largest carpark at USQ Toowoomba. The 1.09 megawatt array is Australia’s largest integrated solar carpark array.